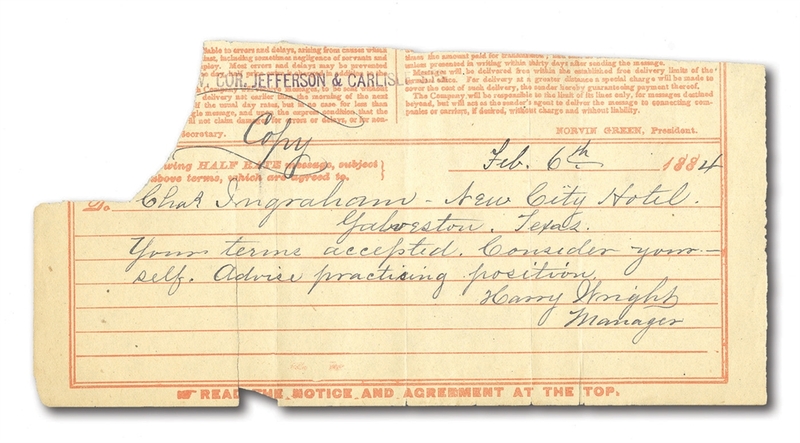 February 6th 1884 3 3/4" by 8" bottom of a telegraph receipt hand written at the bottom by Hall of Fame Philadelphia Quaker manager Harry Wright. 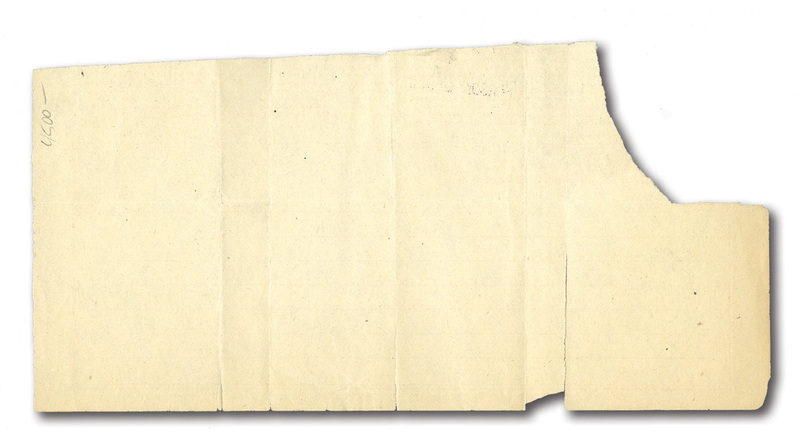 In the note Wright sent to someone in Texas Wright says "Your terms accepted. Consider yourself. Advise practicing position. Harry Wright Manager". Wright has signed with a perfect 9-10/10 looking vintage ink signature. SMR value for a Wright cut signature alone is $1500. Auction closed on Sunday, April 24, 2016.